We started about 10:00AM this morning. 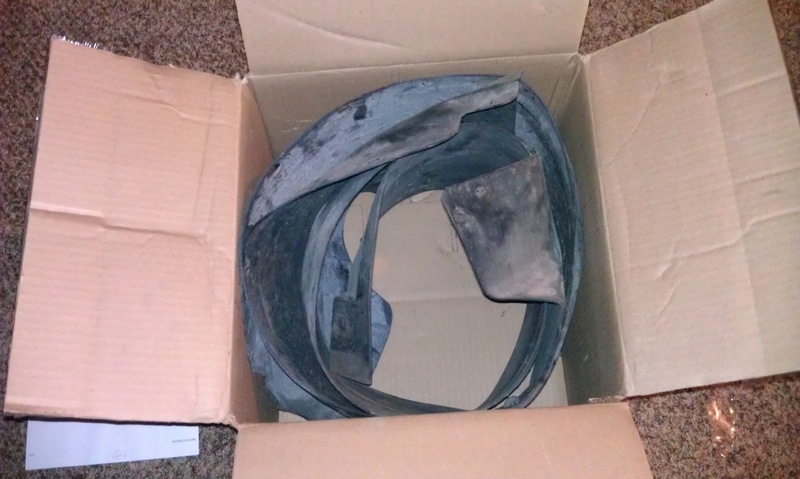 The first thing I did was take this old fender well insert out to the dumpster. The other one is around here somewhere, but I could not find it. When I do find it, it is going in the trash too. Today was the last Saturday of September and it felt like summer outside. It was 82 degrees outside this afternoon! I started this morning by using the steel brush to rough up the edges of the POR-15 at the bottom of the drive tunnel so the new POR-15 would adhere. 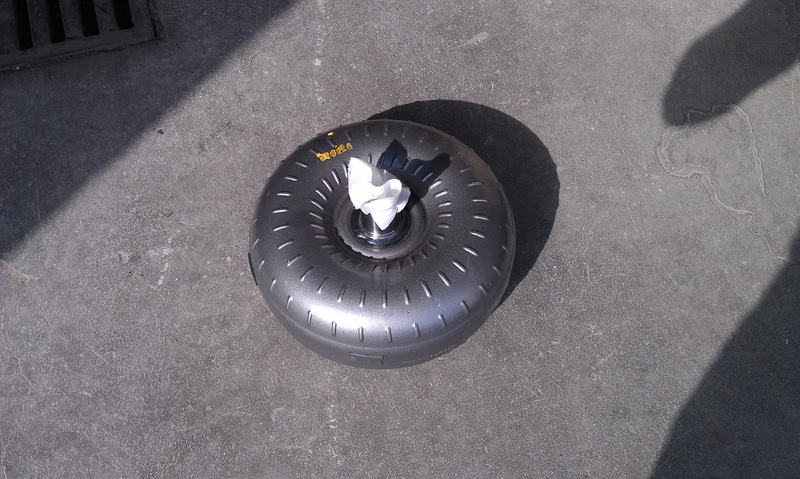 Then I used the air compressor to blow off any dust from the bottoms of the floor pans. I forgot to post last night, and I did so much on the car today that it is hard to remember what I did yesterday. I took some pictures though, so I am going to at least post these. 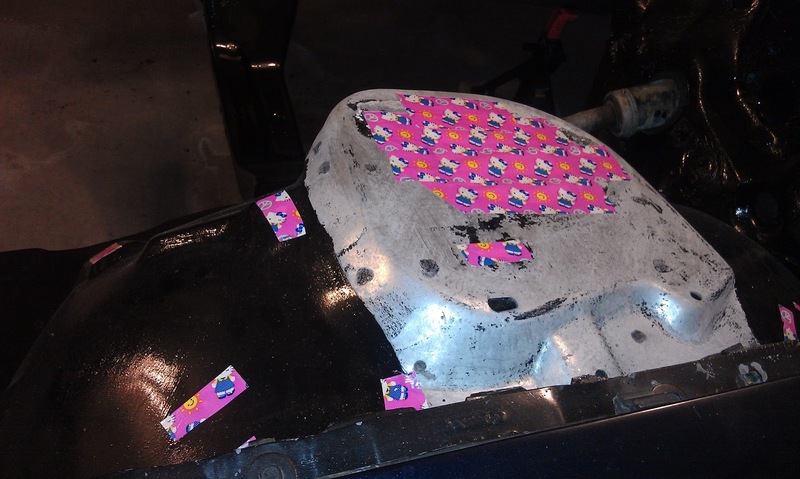 Here is a picture of the old seam sealer underneath the driver side fender. This needs to be removed and have new seam sealer applied. 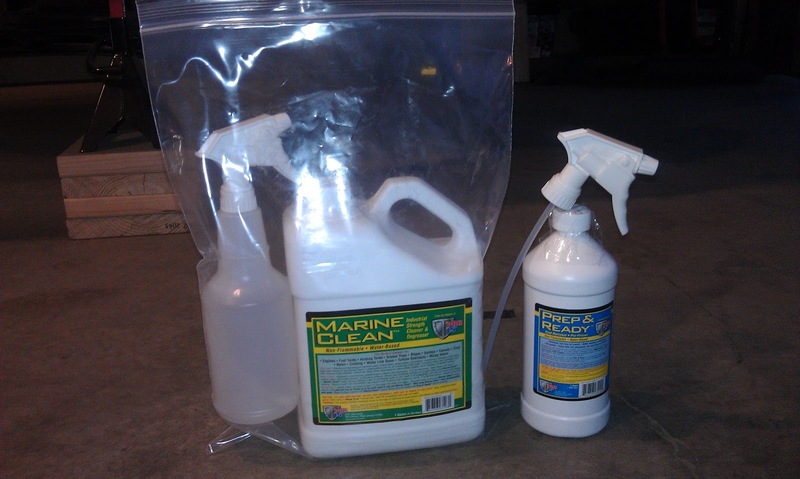 The MarineClean and Prep and Ready I ordered last week came today. 30 years ago tonight, September 26th at 8:00PM EST Knight Rider hit televisions all across America! It is just awesome that 30 years later Project: K.I.T.T. 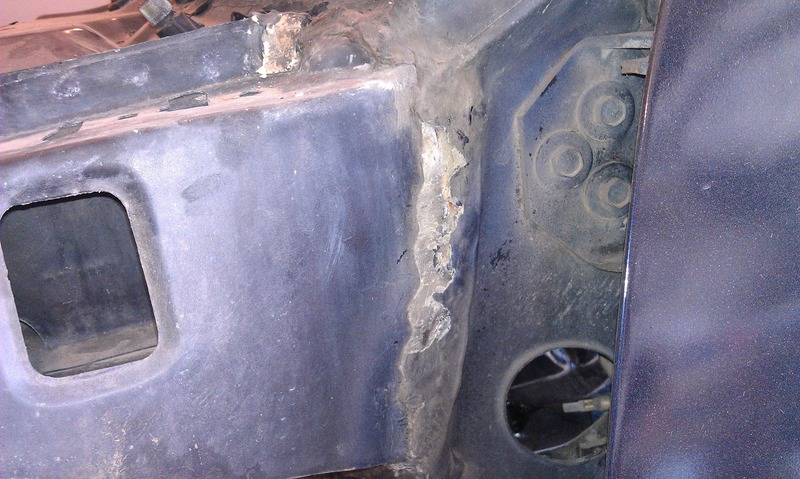 is in full swing working hard to restore KITT to his former glory! Please join us in watching Knight of the Phoenix, the 2 hour pilot that started it all! Michael Knight, a lone crusader in a dangerous world. 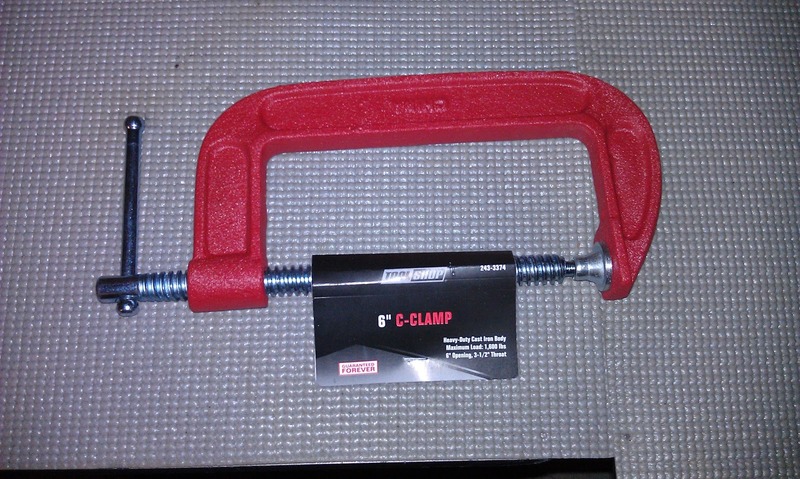 I started off this evening with a trip to Menards with Sara's dad to see how just how great the Lifetime Guarantee on my $7 ToolShop brand C-clamp really was. Turns out it is a really great deal as they replaced it with no receipt and no questions asked! Sunday morning started well enough with Sara's dad arriving early to take pictures as we dropped the rear end. 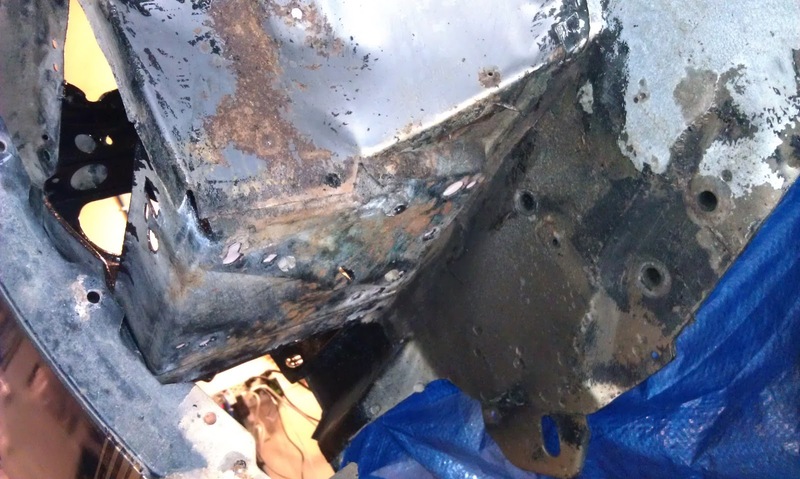 I started out by working on removing anything else I could get off of the rear end area before Troy called. 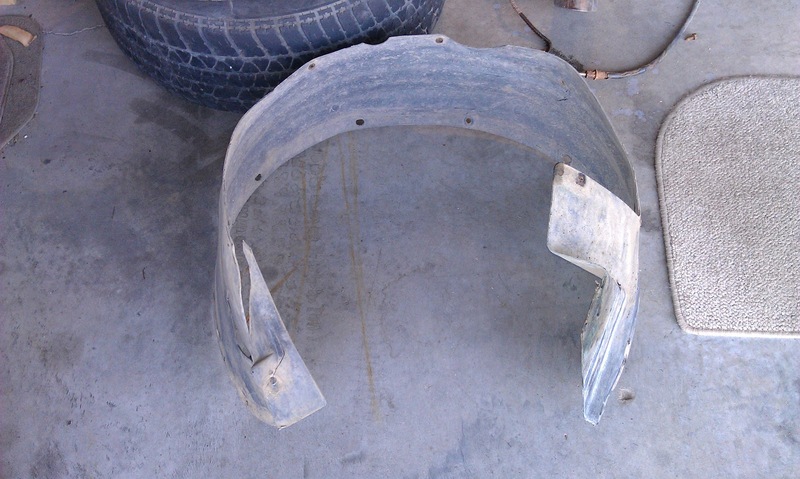 I removed the rubber stops for the axle on either side. 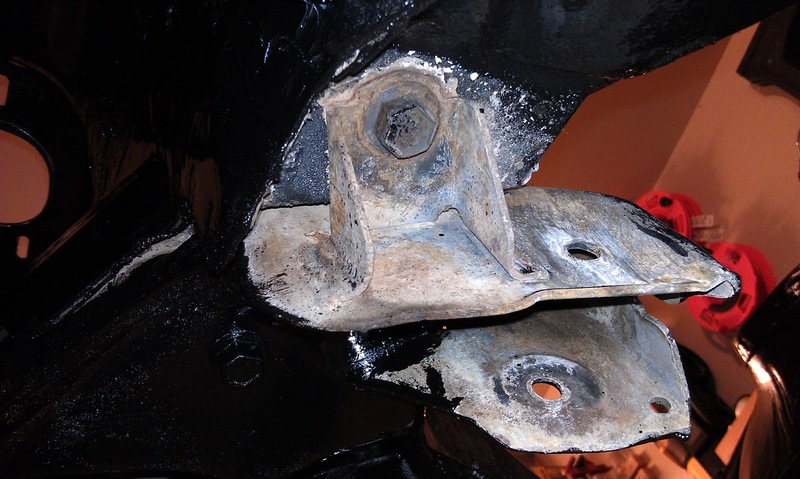 Each rubber stop was secured with two bolts. Saturday was rather disappointing. 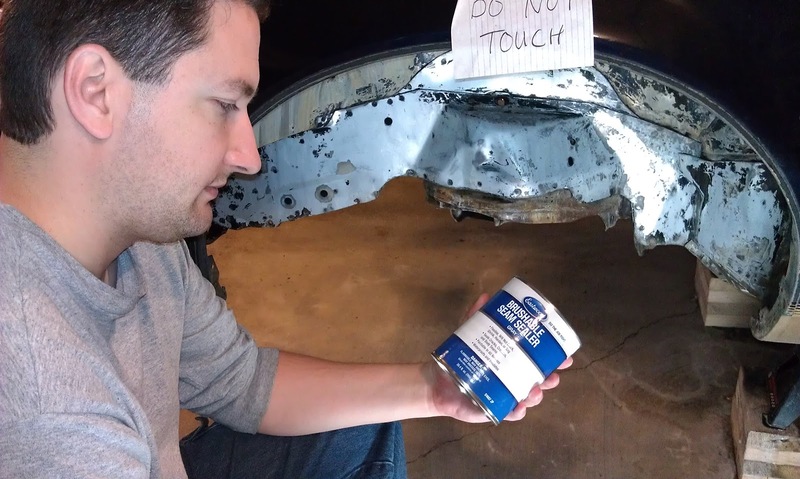 I was hoping to remove everything but the rear end itself before Troy arrived to help. It was one of those days where nothing seemed to go the way I planned. 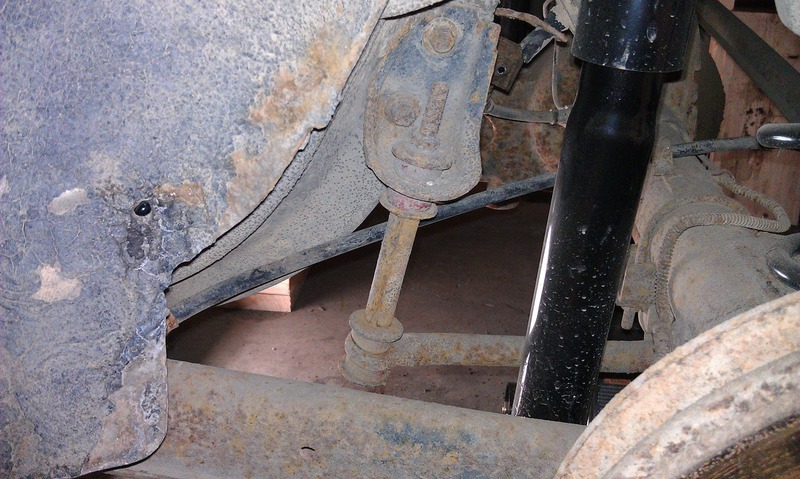 I started with attempting to remove the sway bar and link on the driver side. I really did not want to have to cut the rear end links like I had to on the front because I want to get a measurement off them. 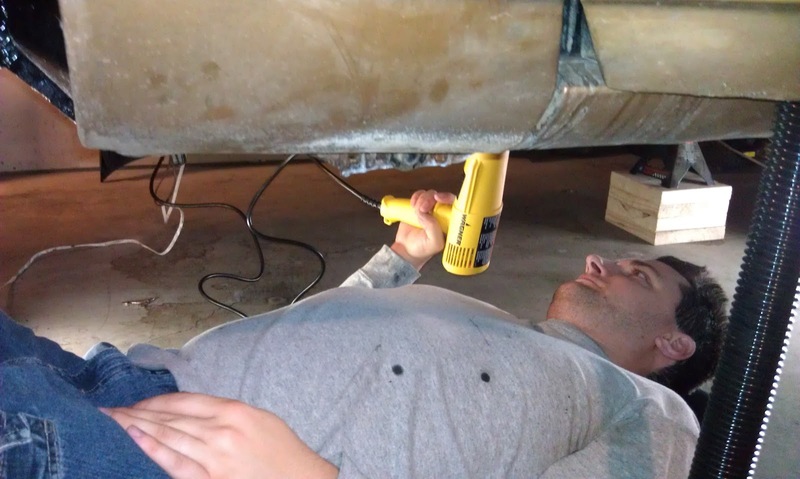 I tried everything I could think of to get them loose, including my impact driver. I got them to budge a little but they would not come off. I spent almost an hour trying to remove this one before deciding to move on to something else. 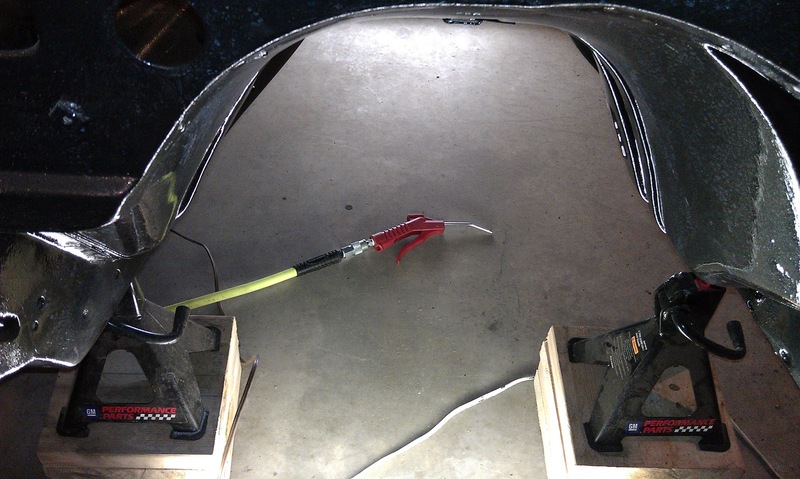 The last few nights I have been working on the rear of the car. 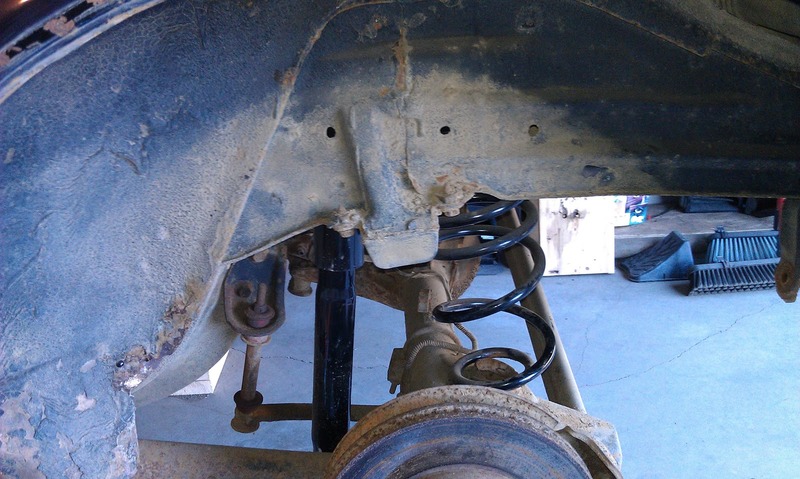 I plan to lower the rear axle tomorrow and wanted to get as much stuff out of the way as possible. 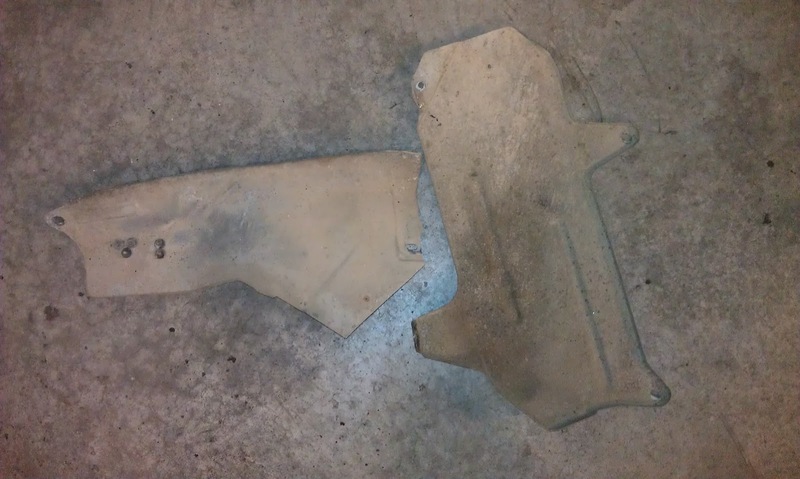 I started with the driver side mud flap. 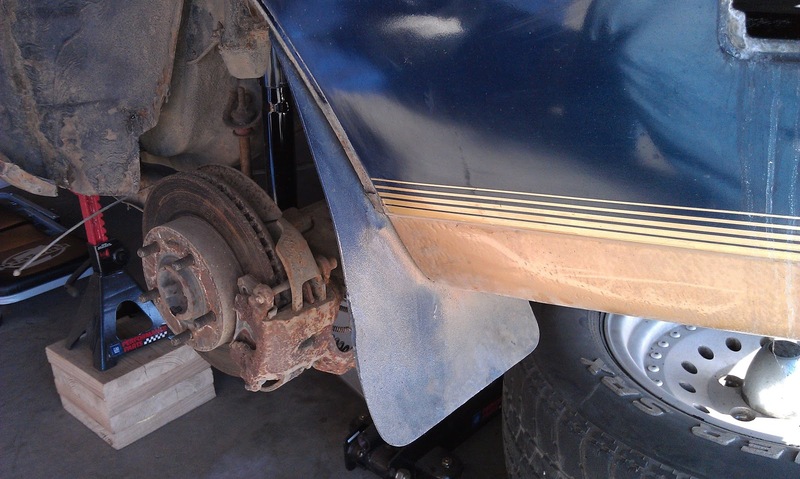 I am not keeping the mud flaps, so I was not concerned with getting them off in one piece. 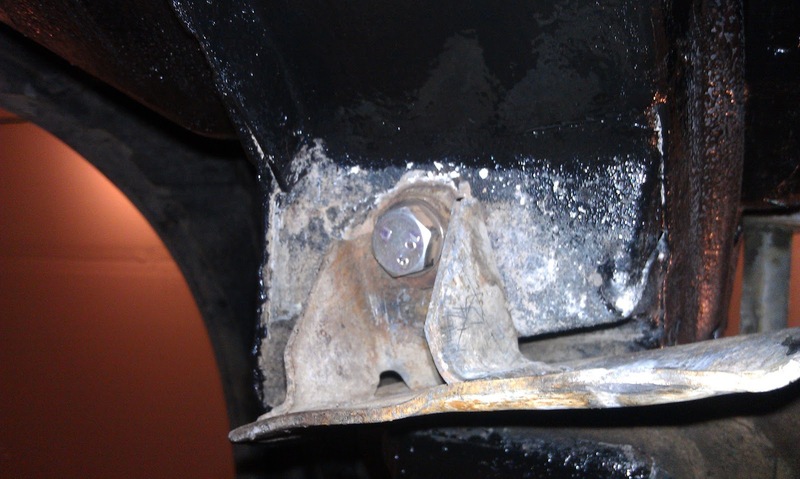 I ended up using a combination of drill, screwdriver, vise grips and utility knife to remove the mud flaps and the three screws securing each. Our Project: K.I.T.T. shirts arrived yesterday! 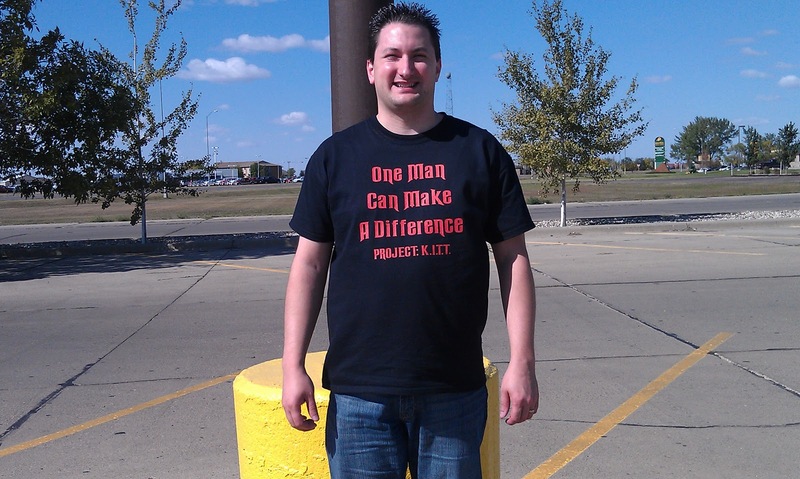 It is exciting to have shirts that say "Project: K.I.T.T." and I am really happy how they turned out. I added some more items to the Project: K.I.T.T. store based on some requests I have received. If you have not had a chance to check out the store, be sure to stop by! If you are interested in supporting the Project, just know that one shirt really can make a difference!